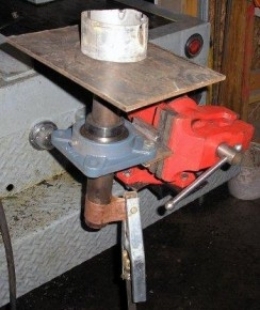 Homemade rotary welding table fixture designed to facilitate the creation of a continuous bead around cylindrical workpieces. OK, OK, yes I really need one. Manana. Yes I will.